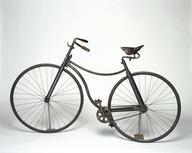 Science Museum, London|Vauxhall Motors Ltd. 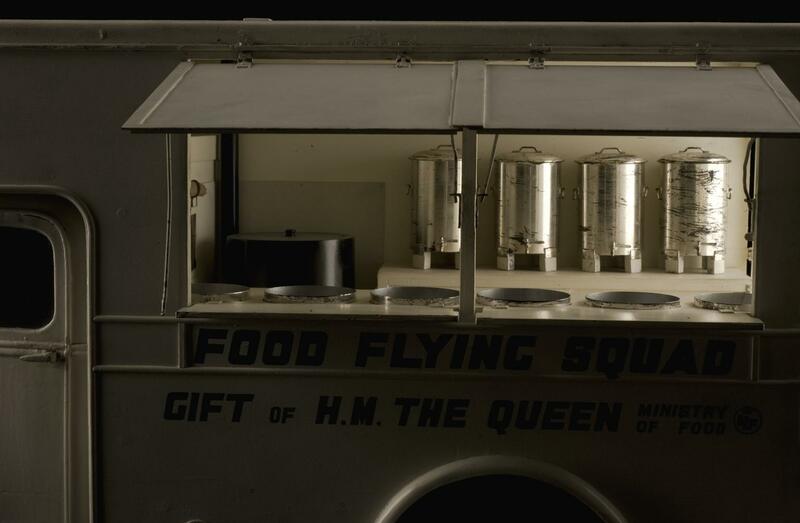 Mobile canteens or ‘Food Flying Squads’ were run by the Women’s Voluntary Service (WVS) in England during the Second World War. The canteens provided food and refreshments for people displaced from their homes because of air raids. They also catered to men engaged in various air raid and rescue duties. 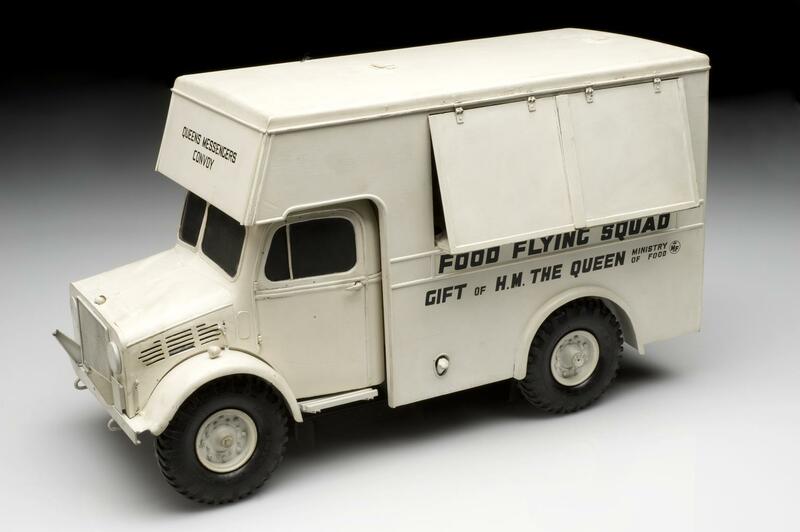 The WVS worked closely with the Ministry of Food (whose name is painted on the side of the lorry). 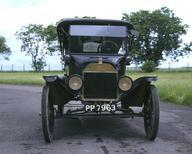 The Vauxhall Motors plant at Luton made a number of vehicles for the war effort, including canteen lorries. 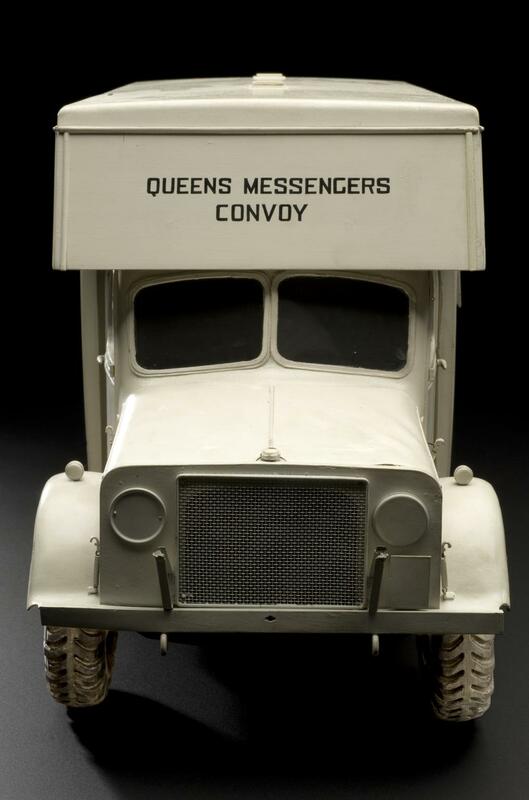 The company commissioned a series of 1:8 scale models to be made for a touring exhibition about their vehicles – of which this is one. This model was made by Basett-Lowke.